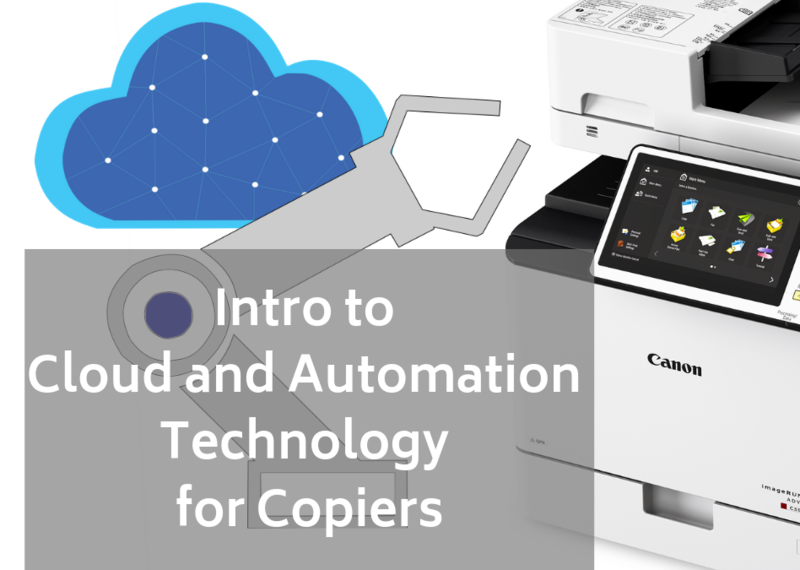 Introduction to Office Printer Cloud and Automation Technology | Duplicating Systems Inc.
Office printers are capable of more than printing, scanning, or copying. There are many software packages available on the market that utilize the technology that exists in your printer to make your work processes more efficient. The process of scanning documents and dragging them to the proper folder can be fully automated the moment you press the scan button, rather than you manually placing your documents into the correct folder. The documents you scan can also be automatically sent to any repository you choose. Sending documents to both local and cloud data libraries is again as easy as pressing the scan button for your stack of documents in the top feeder. In the video below, IT consultant Bill Carroll of Duplicating Systems goes over how today’s printers can use automation and cloud technology to make document storage more efficient. This video is an introduction to more advanced printer technology, so expect to see more videos going over more specific topics in the future! *If you have any questions, write us a comment down below, or call us at 706-546-1220.